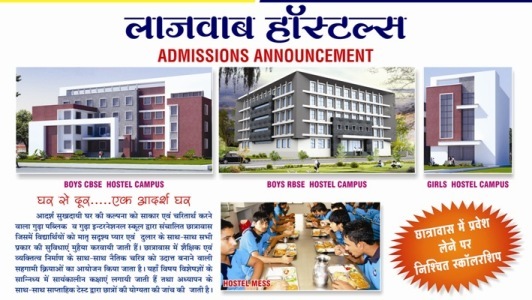 The purpose of Gudha Public School is to prepare students with promise for higher education and lifelong learning and to enhance their intellectual, physical, social, emotional, spiritual, and artistic growth so that they may realize their power for good as citizens of local and world communities. We recognize that such growth is best nourished in an environment that honours and respects not only a diversity of ideas, perspectives, experiences, and traditions, but also a diversity of peoples within our community. We acknowledge that a learning environment that welcomes and encourages diversity provides an invaluable opportunity for all, students and adults alike, to develop the skills and appreciation necessary to become vital, contributing members of our increasingly diverse local and global communities. Exposure to a variety of ideas and perspectives enriches student learning as it encourages critical thinking, open mindedness, flexibility, creativity, and problem solving. Because the formative years that a student spends at GPS are the most impressionable, we believe there is no better time to teach a child to value a diversity of cultures, to honour a variety of traditions, and to respect the contributions of all people. Therefore, Gudha Public School is committed to the development and maintenance of an inclusive community in which racial, religious, economic, and other diverse groups are welcomed.